Until the early twentieth century, printed invitations to executions issued by lawmen were a vital part of the ritual of death concluding a criminal proceeding in the United States. 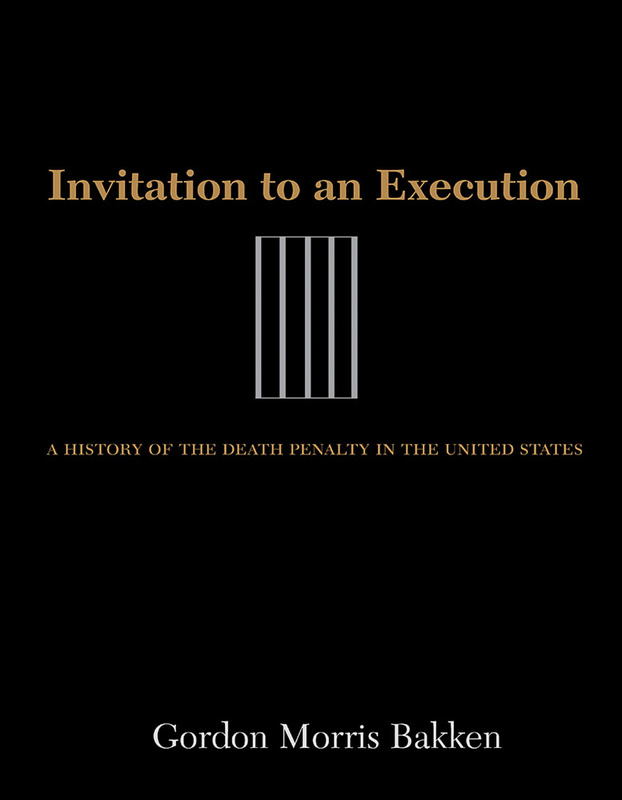 In this study, Gordon Morris Bakken invites readers to an understanding of the death penalty in America with a collection of essays that trace the history and politics of this highly charged moral, legal, and cultural issue. Bakken has solicited essays from historians, political scientists, and lawyers to ensure a broad treatment of the evolution of American cultural attitudes about crime and capital punishment. Part one of this extensive analysis focuses on politics, legal history, multicultural issues, and the international aspects of the death penalty. Part two offers a regional analysis with essays that put death penalty issues into a geographic and cultural context. Part three focuses on specific states with emphasis on the need to understand capital punishment in terms of state law development, particularly because states determine on whom the death penalty will be imposed. Part four examines the various means of death, from hanging to lethal injection, in state law case studies. And finally, part five focuses on the portrayal of capital punishment in popular culture. Gordon Morris Bakken earned B.S., M.S., Ph.D., and J.D. degrees from the University of Wisconsin. He teaches courses on American legal and constitutional history, westward movement, American military heritage, women of the American West, women and American law, as well as historical thinking and historical writing at California State University, Fullerton. He is the author or editor of numerous books including Icons of the American West: From Cowgirls to Silicon Valley.